April | 2016 | Vikings, Books, etc. Heavenly Bodies coming end of June 2016! Some readers may be aware that I spent a year and a half (overlapping significantly with my time teaching at UCLA) translating a book on the theology and philosophy of the body by Swedish theologian Ola Sigurdson, titled Himmelska Kroppar: Inkarnation, Blick, Kroppslighet (Heavenly Bodies: Incarnation, the Gaze, and Embodiment). It was challenging work (my first professional translation, and both very erudite and quite broad in scope), but rewarding and engaging. Ola was very responsive and a pleasure to work with, as was Eerdmans publishing, and the book itself was like sitting in on simultaneous graduate seminars in theology, church history, and the philosophy (which, in turn, ranged from Nietszche to Heidegger to Foucault to Butler–and beyond, and with at least three dozen other major and minor figures as well). On a whim I searched for the English title of the book, and lo and behold it is scheduled to come out at the end of June (I was expecting Fall) from Eerdmans! You can preorder on Amazon — $60 and over 650 pages, but hey, that’s not bad compared to, say, your textbook for college Spanish, right? 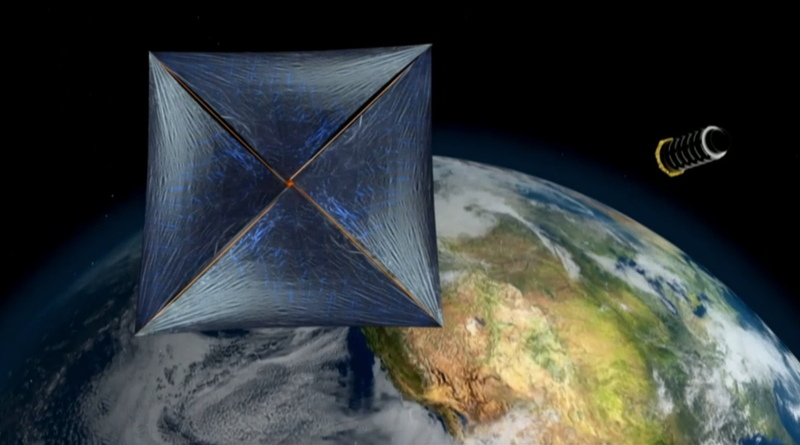 Stephen Hawking is helping to lead Breakthrough Starshot, an effort to develop tiny, light-propelled spacecraft that could reach Alpha Centauri just 20 years after blasting off. I’m really excited about this, but not sure how optimistic I am–have read too many articles lately saying that the tech (and the $$) is not there yet… but we’ll see! It would be amazing to have a probe reading Alpha Centauri withing my lifetime, though I expect I would have to hang on as long as possible to see it happen. Swedish poet, novelist, and scholar Lars Gustafsson has passed away (Swedish language notice here). A literary giant in Sweden, he also made a significant mark internationally. He has been widely translated in English and was included in Harold Bloom’s The Western Canon. He served as a professor at the University of Austin, and the southwest of the United States figures prominently in his work (well, out of what I have read–which is not much, given his impressive output). His work could certainly be erudite (he was a professor in philosophy), but I found much of his fiction to be very accessible, and what wasn’t accessible (like some of the short fiction discussed below) was still quite interesting, even if a reread may be in order at some point (but a reread is in order any time you find something good). Find a list of his work on Amazon here. I’ve read a bit of his poetry (currently A Time in Xanadu) and recommend it. I am a very casual poetry reader myself (despite most of my non-academic published work being poetry), but he is also quite well appreciated for his verse, so you don’t have to take my word for it! Check out a sampling of his verse here (the poems are listed in the right-hand menu). Out of his many novels some places to begin are Death of a Beekeeper (a novel written as entries in the diary of a man dying from cancer), The Tennis Players (set in Austin, a short comic novel with a professor as protagonist, touching on everything from Strindberg’s period of apparent insanity to early-80s hacking and accidental nuclear warfare), and Bernard Foy’s Third Castling (a novel within a novel within a novel, the first being a straight-up thriller). Science Fiction nerd that I am, I first became (especially) interested in Gustafsson after randomly happening upon a minor work of his in the tiny science fiction section of Celsius bookstore in Uppsala: Det Sällsamma Djuret Från Norr (“The Strange Beast from the North”). I initially didn’t think it could be the same Lars Gustafsson–I hardly knew of him then, apart from the fact that he was “literary” and “respected”, and these were outright pulpy (well, not so pulpy) science fiction short stories, with a frame narrative on par with the best Space Opera, old or “New”. Not available in English, alas–nor is his much earlier set of short stories Förberedelser till Flykt (Preparations for Flight), a group of experimental short stories that edge into science fiction, fantasy, and magic realism. The two are collected in one hard back edition (which I have out from the UC Berkeley library), but still in Swedish. I’ve played around with translating bits myself here and there, but if I do get that done it probably won’t be especially soon–translation may be especially important for those of us who teach foreign literature, but you don’t get much credit for it academically, a problem when you are a young scholar still trying to find a tenure-track position. But we’ll see–I may have a translation of one of the stories from Förberedelser till Flykt translated soon (one of Gustafsson’s favorites, according to his afterword), and the titular story is translated in, and gives, once more, its title to another collection, Robin Fulton’s collection of translations from Swedish Preparations for Flight and Other Stories (an old volume–1990 I think–but looks like Amazon has a few used copies available). This is one of my favorite stories from the collection in any case, with a very accessible premise (though some of my students still didn’t get what was going on…) and an otherworldly and quietly post-apocalyptic flavor (in my reading, at any rate). Gustafsson’s blog is still up–mostly in Swedish, but every now and then you’ll find something in English or German. I’m afraid I’m at the limit of what I can recommend–but definitely someone to read, whether you are specifically interested in Scandinavian literature or not.